I’ve had a very busy couple of weeks and at the same time a very sore ankle which together have kept me from going out shooting. So, today with the windy, rainy weather, and after things have slowed down a little, I just felt like playing with some photos. The news a few days ago took me to one of my favorite places, Seal Beach, CA, where a mass shooting took place. I traveled there often for work in my previous job and even vacationed there with my wife. It’s maybe the place I’d like to live if I could choose anywhere in the U.S! I was there last summer for a job and took a walk one evening on the Seal Beach Pier. I was shooting with my point-and-shoot and had a few mediocre record shots. 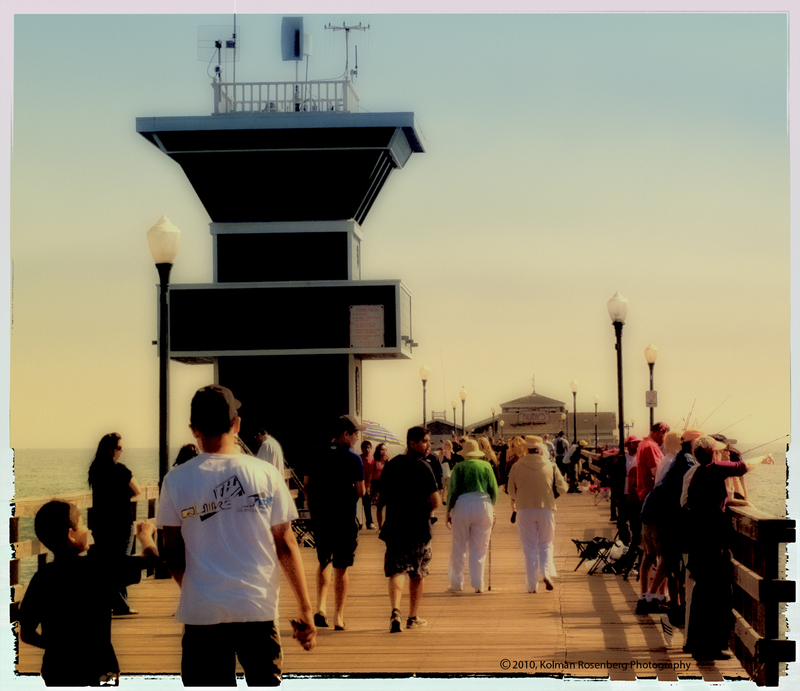 Today, wanting to play, and with Seal Beach in my mind, I pulled up a few of those photos and applied some digital effects to them using a Photoshop Plug-In. Seal Beach Pier, early evening. This first photo captures the crowd of walkers and fishermen on the Seal Beach Pier. The effect gives it a painterly look and makes the two foreground figures look like they are looking into the scene from outside of it. Surfer off of Seal Beach Pier. 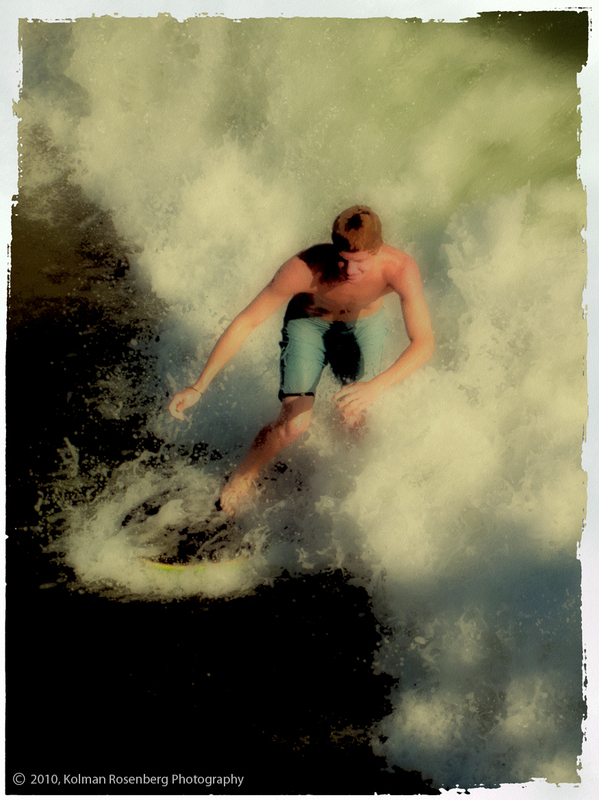 The second photo of a surfer off of the Seal Beach Pier also has the painterly effect. I like these photos, with the effects, much more than the original record shots. What do you think? Do you like these effects? Have you ever tried using any plug-ins or filters on your digital images? I’d like to hear about your experiences. This entry was posted in Uncategorized and tagged CA, california, Digital, Filter, Nik Software, Painterly, Photo, photography, photoshop, Pier, Play, Plug-In, Seal Beach, Surfer. Bookmark the permalink. Thank you. You can enter your e-mail address and click subscribe in order to follow the blog, or just click the follow button.